Laurie Boyd: Locker Tags Helped Us Embed a Growth Model. Who Knew? Locker Tags Helped Us Embed a Growth Model. Who Knew? As a secondary teacher learning to manage a classroom, I came to envy elementary teachers because they held sway over a hot commodity - recess! Lots of youngsters will choose appropriate behavior so they don't lose play time during recess. Middle School typically does not include recess (although many of us believe that daily physical breaks would be a good idea for kids and adults alike). 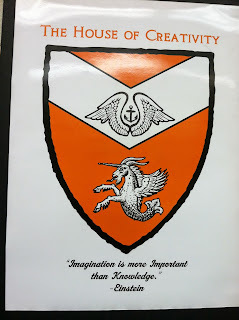 As a principal, I stumbled upon a hot commodity for our middle schoolers when I began to transition our population of nearly 500 students and 26 teachers into a structure we call "The Esteemed Houses of Arrowhead Middle School." We already had a structure of advisory periods called Family Advocacy, in which every teacher was assigned a group of students they met with weekly for review of progress, motivation, communication with families, and supportive relationships. I grouped one FA class from each of our three grade levels together to form nine multi-grade Houses. 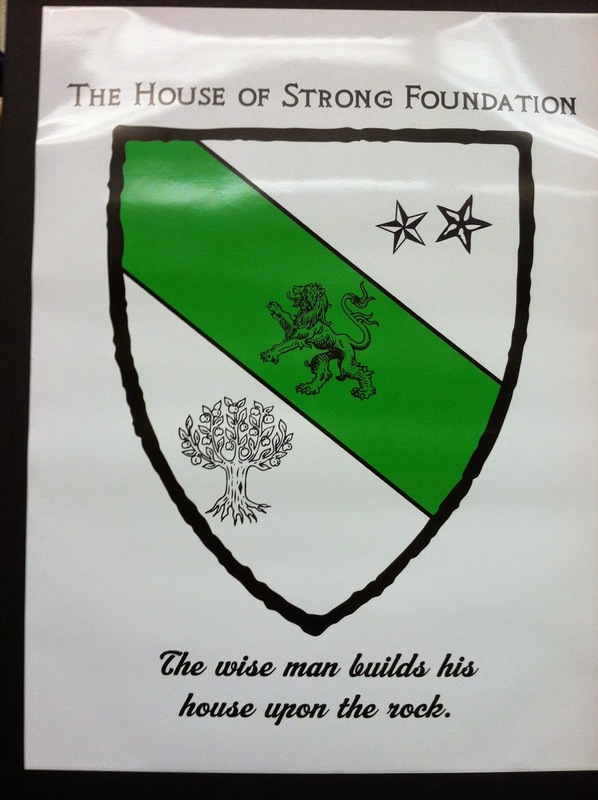 Each House has its own name, its own color, its own symbolic family crest, its own slogan, and its own cheer or chant. 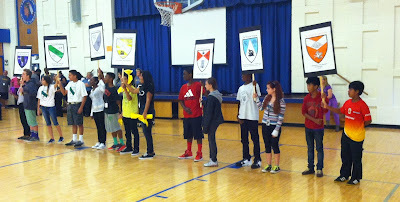 Each eighth-grade FA class selects two students to serve as House Captains for the school year. When we hold our quarterly rallies - all-school assemblies for student recognition and fun - the House captains hold their House banners and lead their group's House cheer. They select participants for the House competitions during the rallies, or they compete themselves. We celebrate students' birthdays every quarter. The House captains distribute the birthday treats to their quarterly House meeting. In an attempt to generate interest around the House captain position, I posted a House family crest on the locker of each House captain. I knew that social dynamics among adolescents can be dicey, and I wondered if their peers would deface or destroy the locker tags out of jealousy or any petty offense, or if the House captains themselves would think they were embarrassing and find a way to "lose" them. By the end of the school year, every locker tag was still in place, still whole, and still clean. Amazing! I realized we had our hot commodity. Other organizations began using small cut-out images for recognition: pep club made locker tags for the players of each sport. Kids who bought red ribbons from National Junior Honor Society, for their anti-drug campaign, posted their ribbons on their lockers. 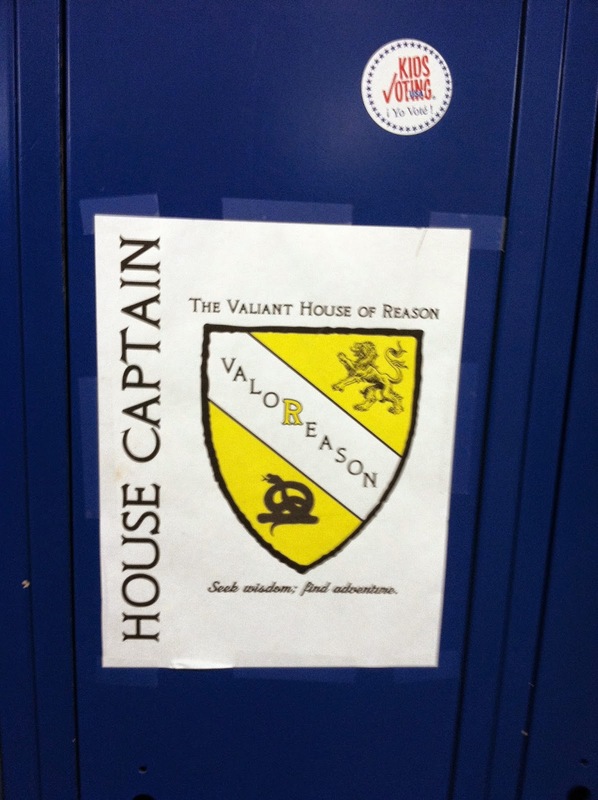 We made House MVP (most valuable player) tags for those who contributed the most points to their House each quarter. 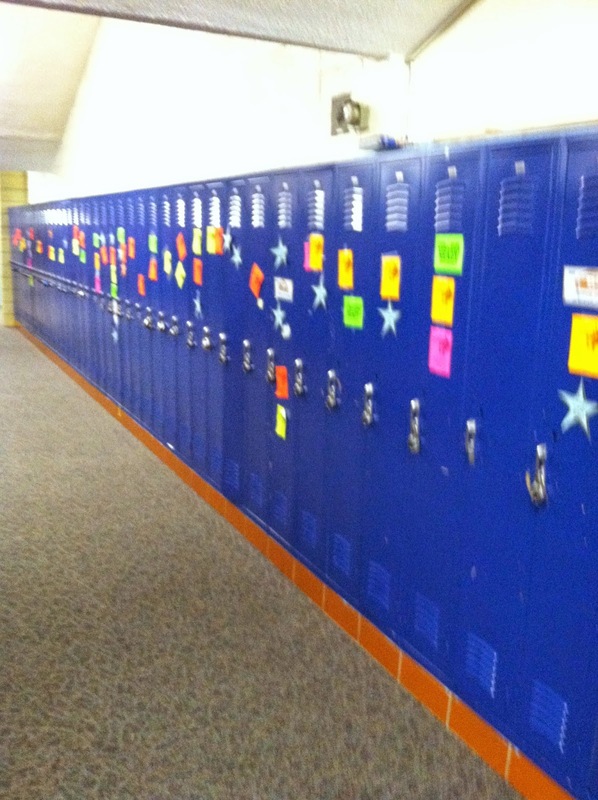 Again, the tags stayed on the lockers all year, and peers did not touch them. This year, we adults had a goal of trying to invest our students in the assessments our district uses to measure academic progress. We knew that if we did not find a way to make these infrequent, long, and often arduous assessments meaningful NOW to our students, we would not get the reliable data we needed to make decisions about our instruction for them or, sometimes, about the appropriate placement for our students. "I grew on the MAP Reading test from Fall to Winter" or "I grew on the MAP Math test from Fall to Winter." In a few minutes, every hallway bloomed with pink and yellow neon glints of light. Kids who had rarely, if ever, received recognition for academic achievement were posting the same tags as straight-A students, and just like that, our "Growth Model" culture was born and became meaningful to students. A school community can't get very excited about an elusive total percentage of growth on a standardized test, from one year to the next, which doesn't even compare the same students. But we can all get behind the notion that everyone should grow academically. 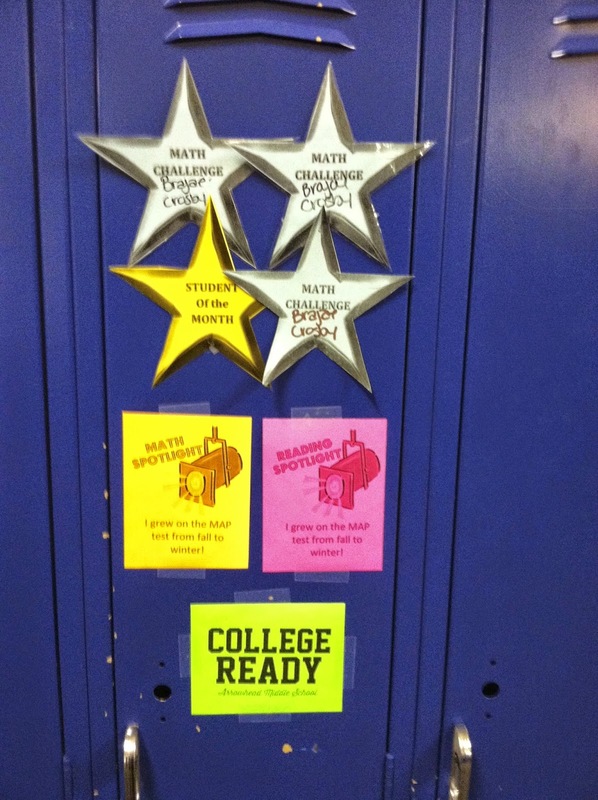 We discovered from our assessment data, that 66 students scored at the "College Ready" level on the MAP, so we decided to highlight this achievement with neon green locker tags that state simply: "COLLEGE READY. Arrowhead Middle School." 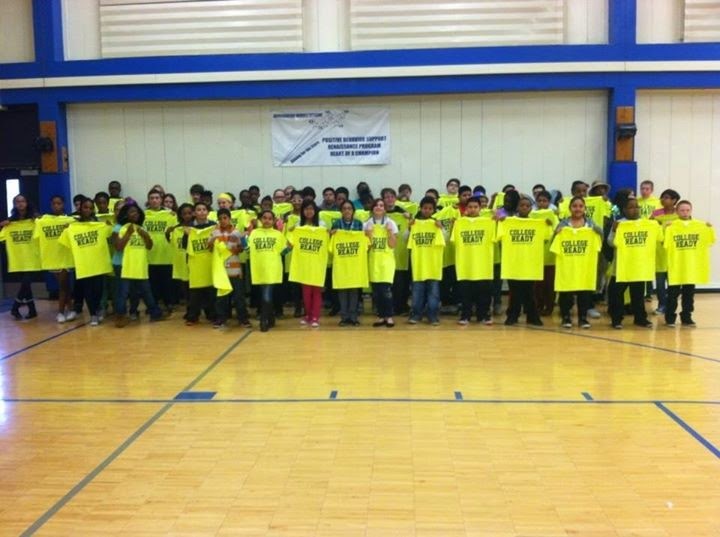 We printed the same message on neon yellow t-shirts and awarded kids their shirts at our January rally. As we lined up these students on the far side of the gym so we could take a picture of them with their shirts, the rest of the student body rose to their feet and gave their peers a lengthy standing ovation, with no prompting from adults. After our Spring MAP, we added 34 additional "College Ready" students for a total of 100 even. At the final rally, we asked every student who knew they grew on the Math MAP and/or the Reading MAP to stand. Nearly every single student stood and then applauded themselves and one another again. 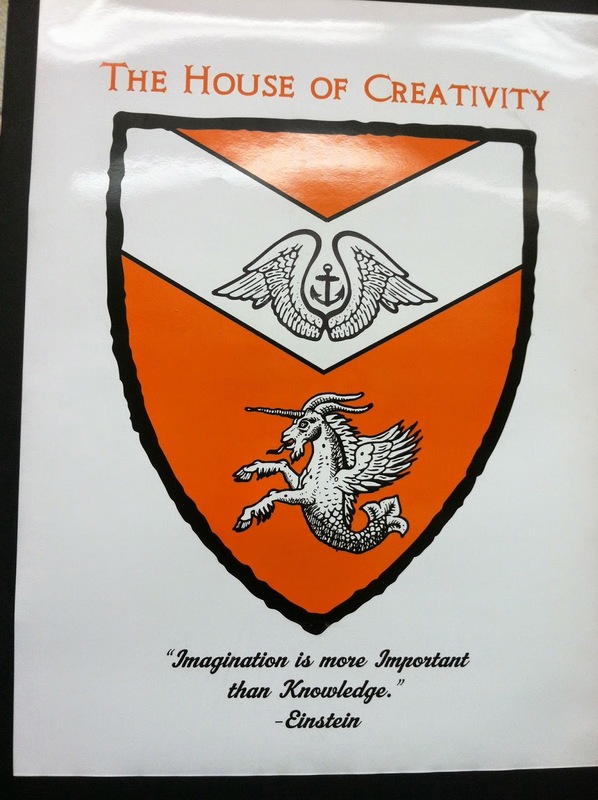 We've enjoyed a school climate upgrade! It's cool to be smart at Arrowhead Middle School. It's cool to celebrate your achievements at Arrowhead Middle School. And it's cool to celebrate your peers' achievements at Arrowhead Middle School. Sign up for your FREE download today. 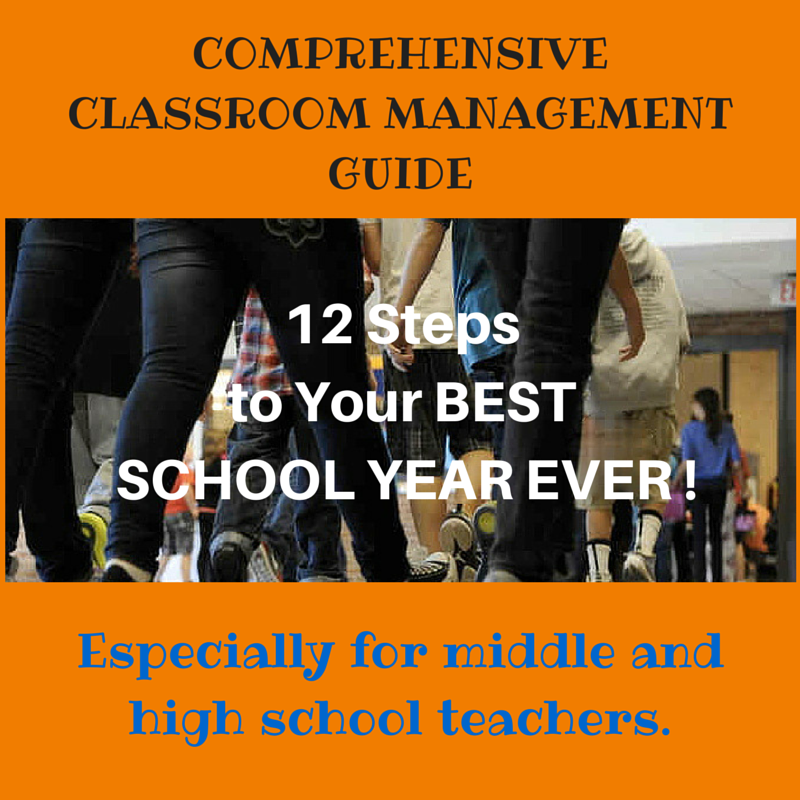 You will get the Comprehensive Classroom Management Guide and Template, plus a series of email newsletters that will support your efforts to plan your best school year ever! What Rules Do We Need? What Does a Teacher Leader Do? Grab your FREE download today.